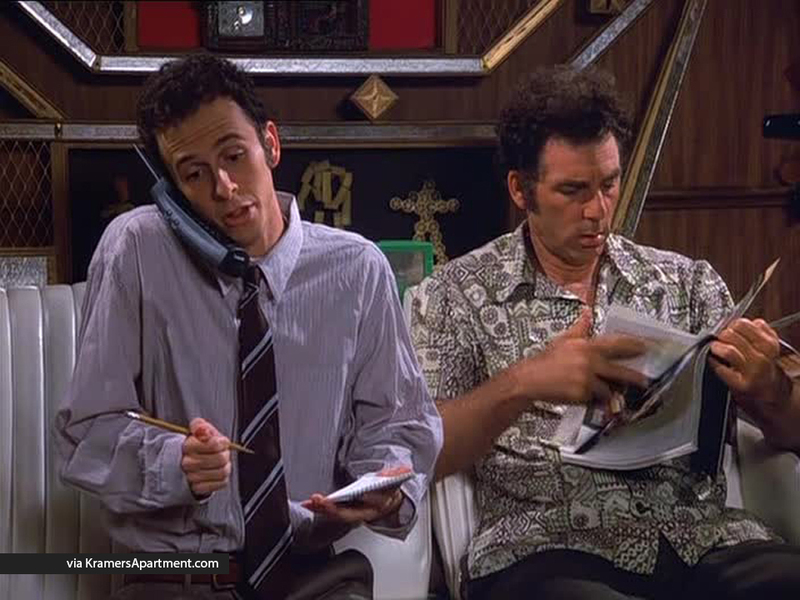 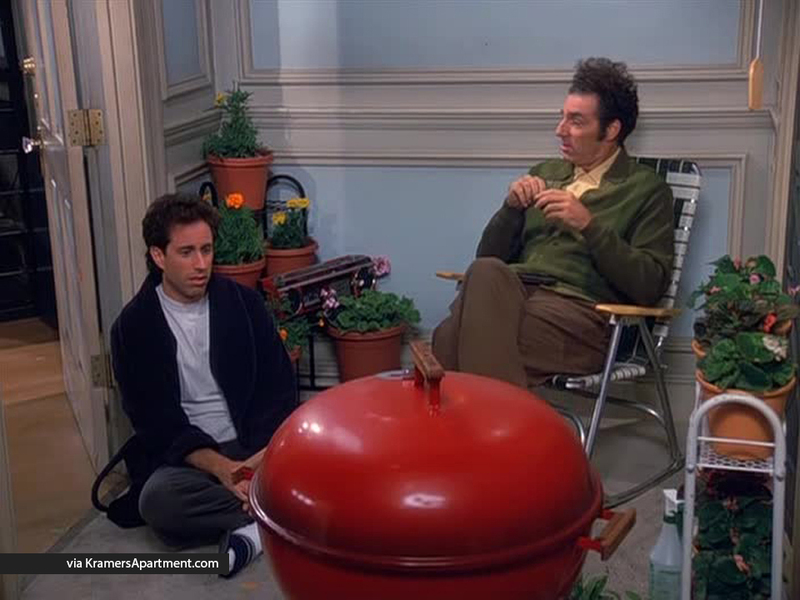 Home » Kramer » Which character appears the most in Kramer’s apartment? 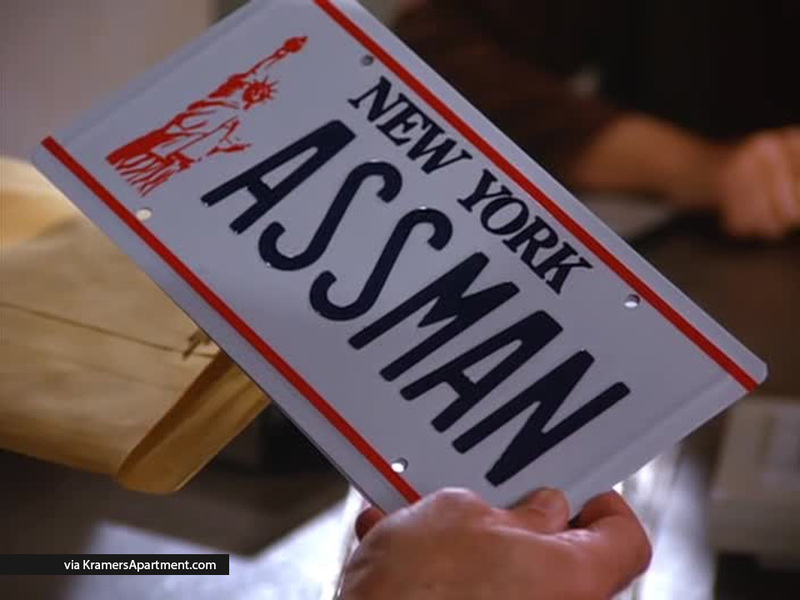 Cosmo Kramer is one of the most recognizable Seinfeld characters and is often seen carrying out crazy schemes in his apartment. 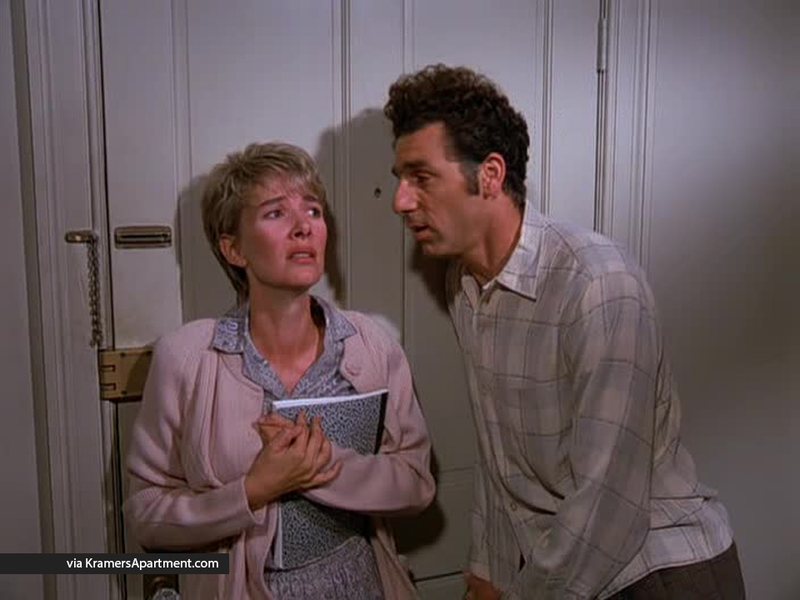 But not even Kramer can put an end to maritime oil spills all by himself. 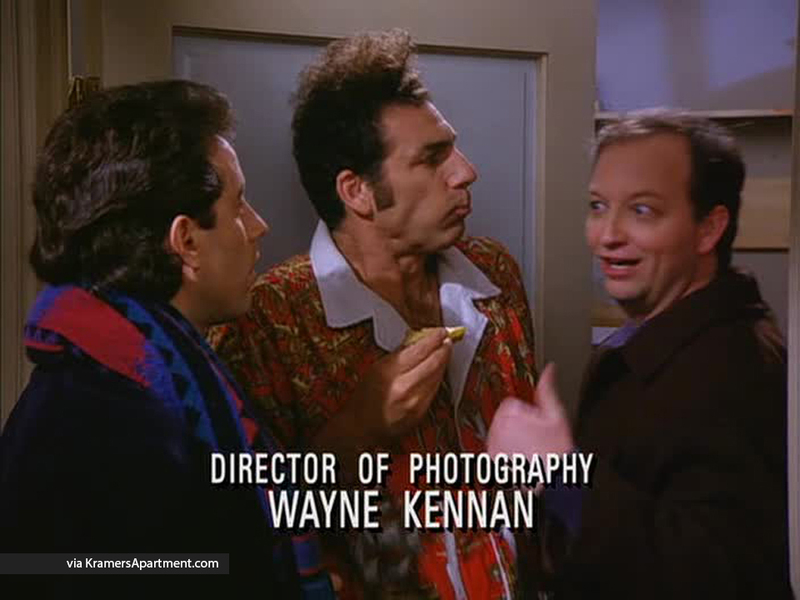 Despite never holding a real job, Kramer has a wide network of friends, partners, and associate who appear in his apartment over the 9 season series. 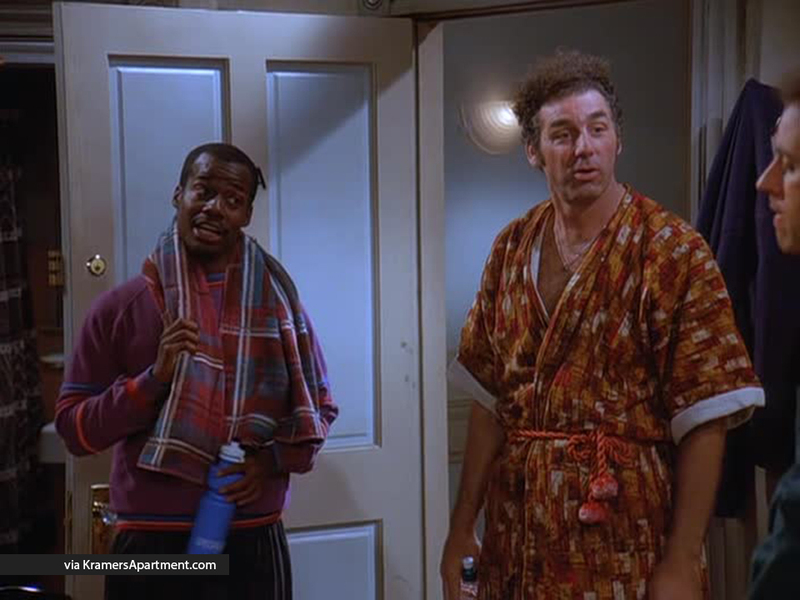 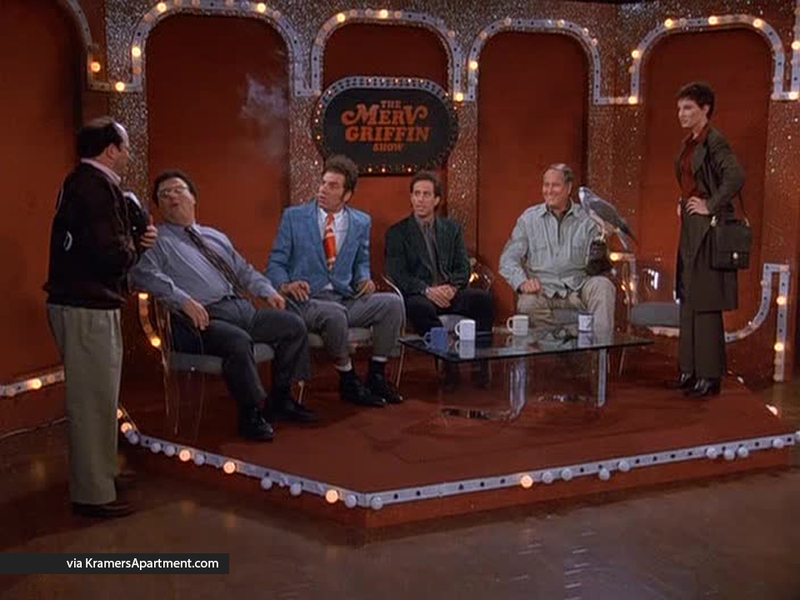 So which character appears the most in Kramer’s apartment? 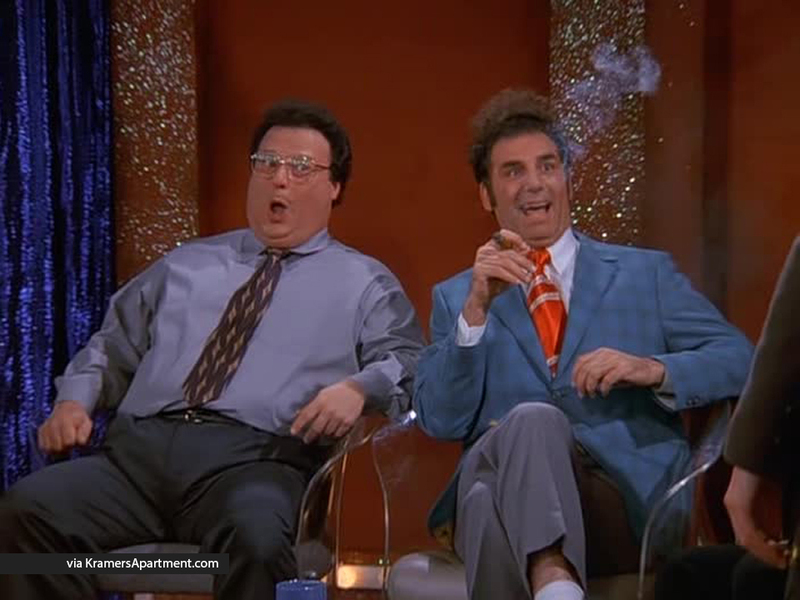 Is it Jerry’s arch nemesis Newman, who is often a co-conspirator in Kramer’s half-baked plans? 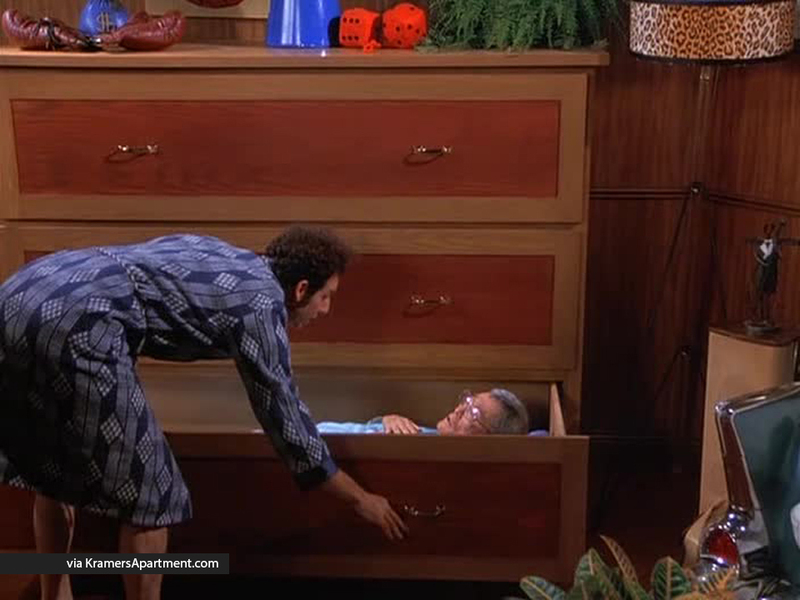 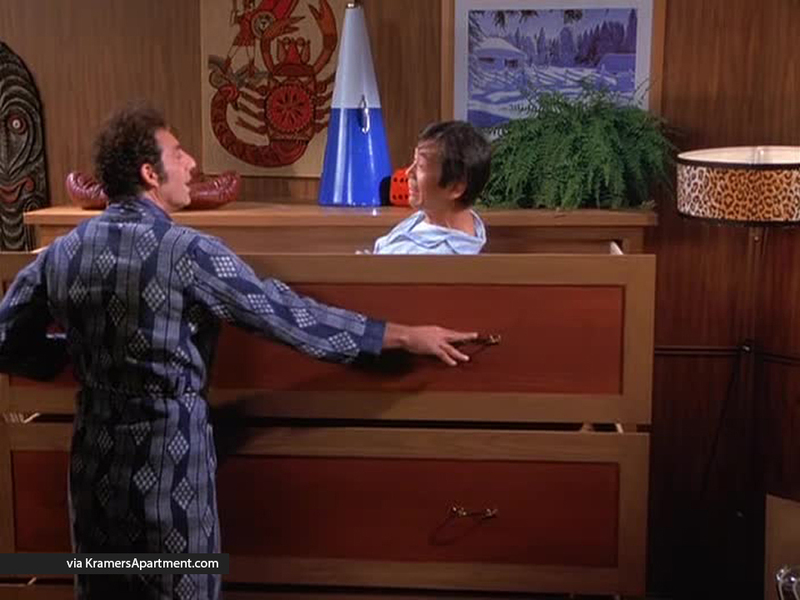 Or perhaps it’s Jerry, who always leaves the door open for Kramer and may be looking to reciprocate? 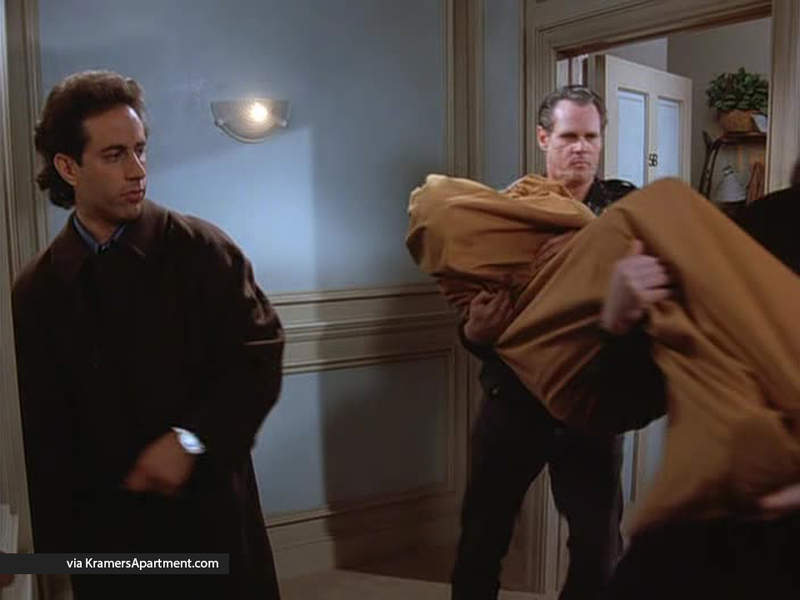 Maybe it’s Elaine, who “pops in” to Jerry’s apartment and always seems to get pulled into Kramer’s cyclone of outlandish behavior? 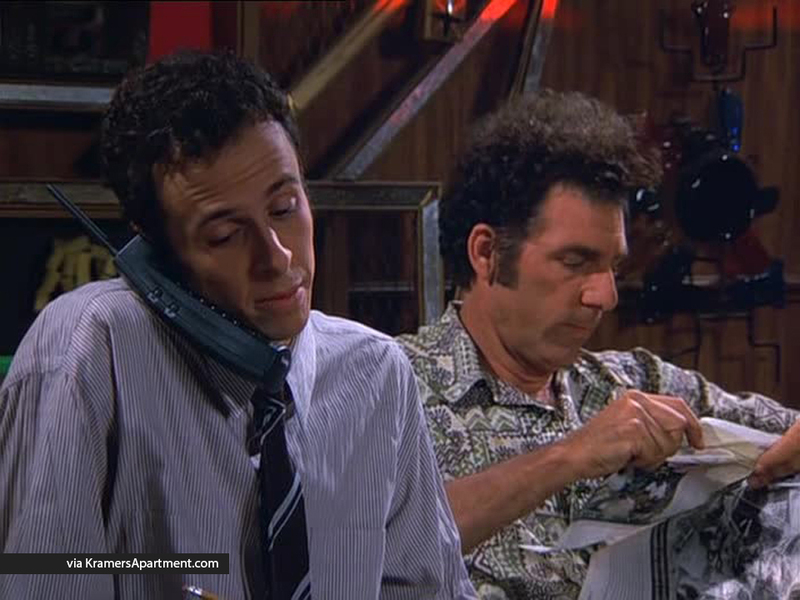 Or is it George, who is always hanging out at Jerry’s and shares Kramer’s affection for cooking up a ruse? 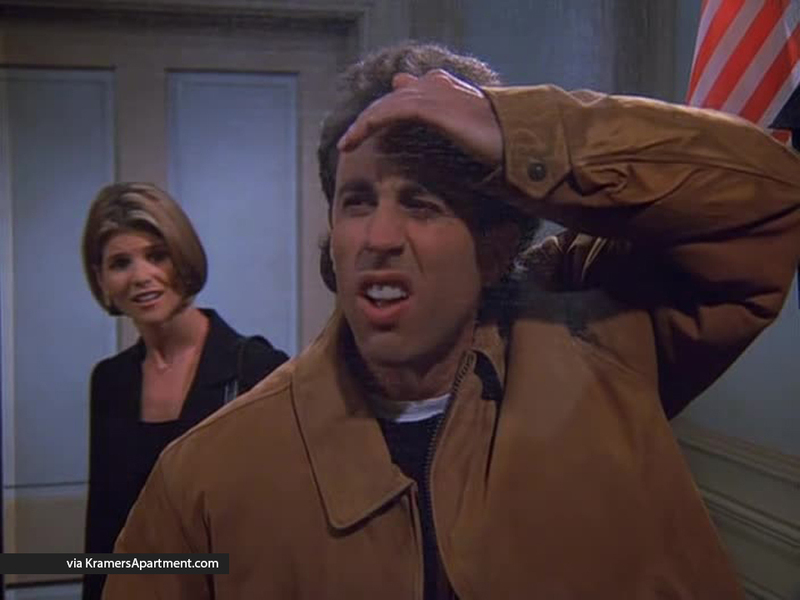 Jerry Seinfeld – Jerry is the main character of his self-titled show. 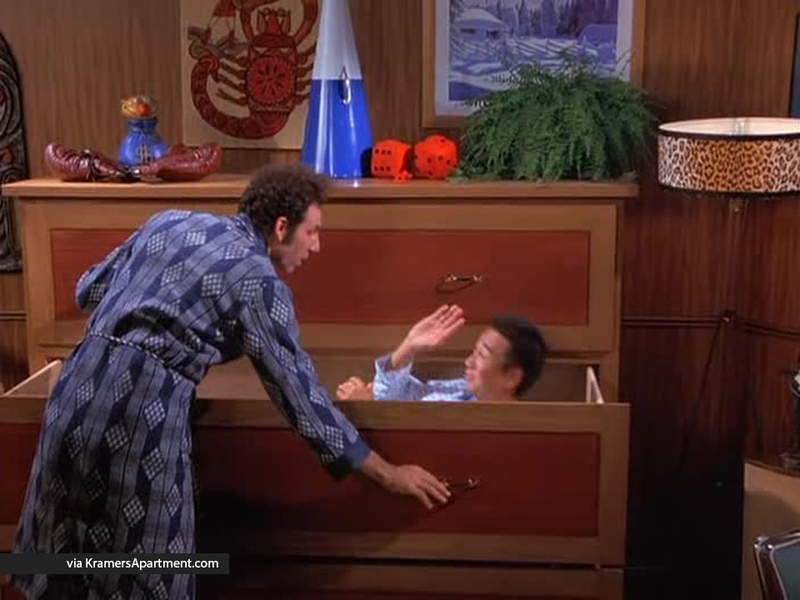 Even keeled and often the voice of reason, Jerry is “the straw that stirs the drink”. 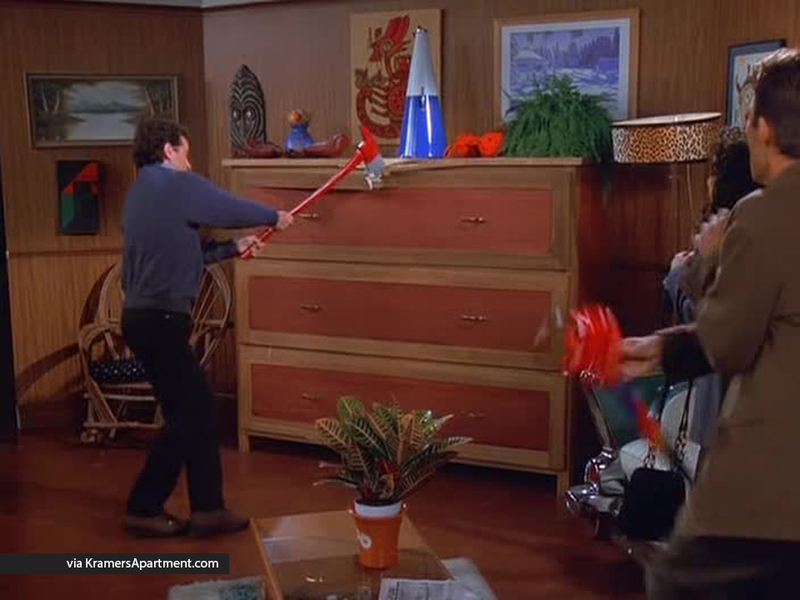 He appears in Kramer’s apartment the most of any character at a whopping 14 episodes. 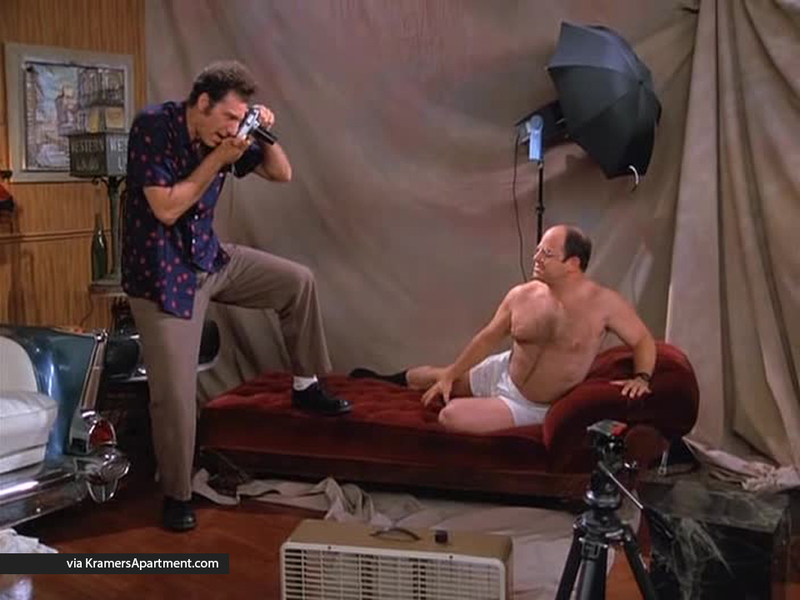 George Costanza – George is Jerry’s childhood best friend. 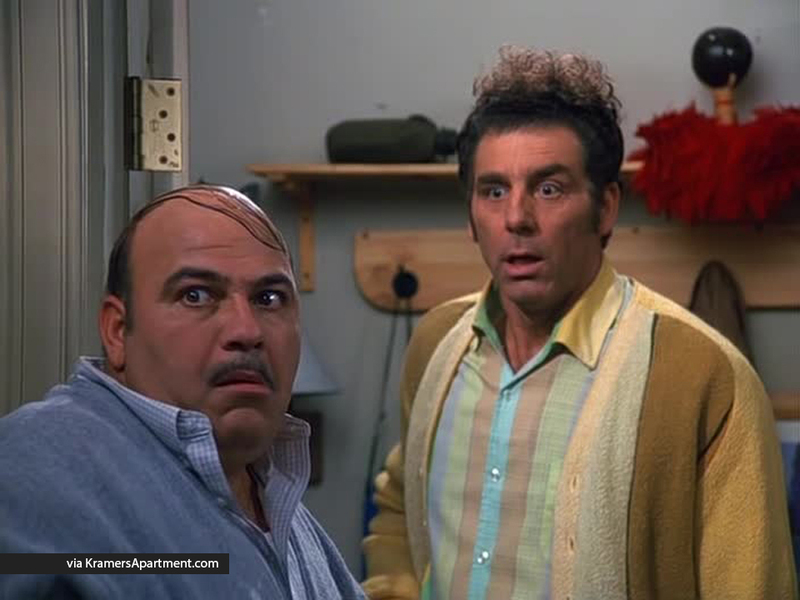 Neurotic and paranoid, George is an expert at bending the truth for his personal gain. 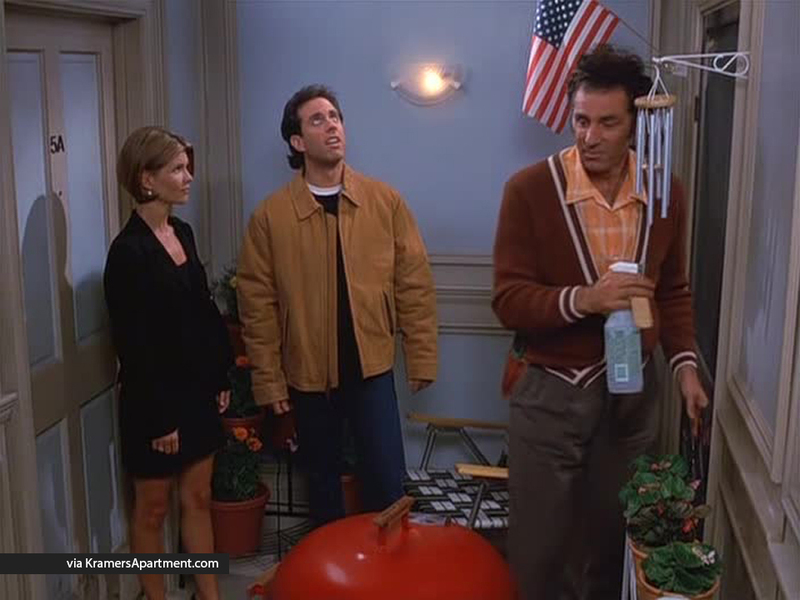 Friends with Kramer by association, he actually appears in Kramer’s apartment the second most of any character at 10 episodes. 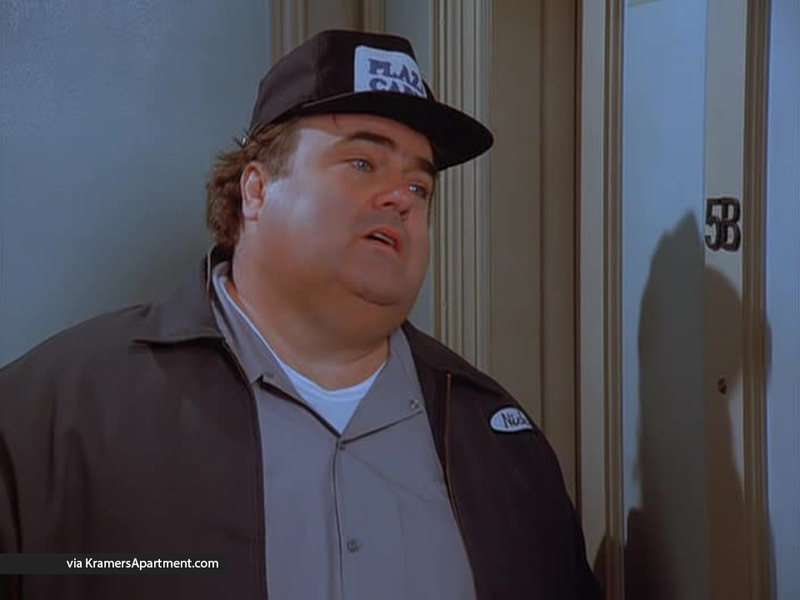 Newman – An employee of the United States Postal Service, Newman lives in apartment 5E, on the east side of the building. 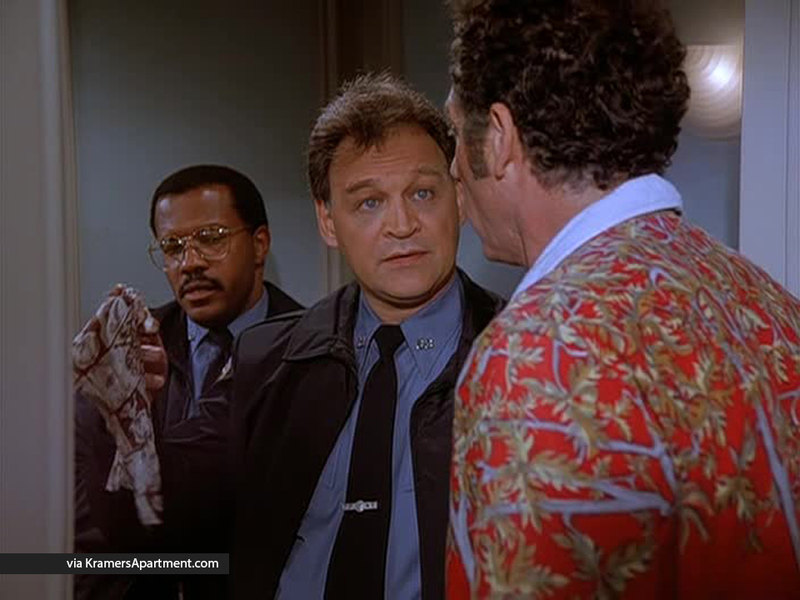 A known enemy of Jerry’s, Newman is still a close friend of Kramer’s. 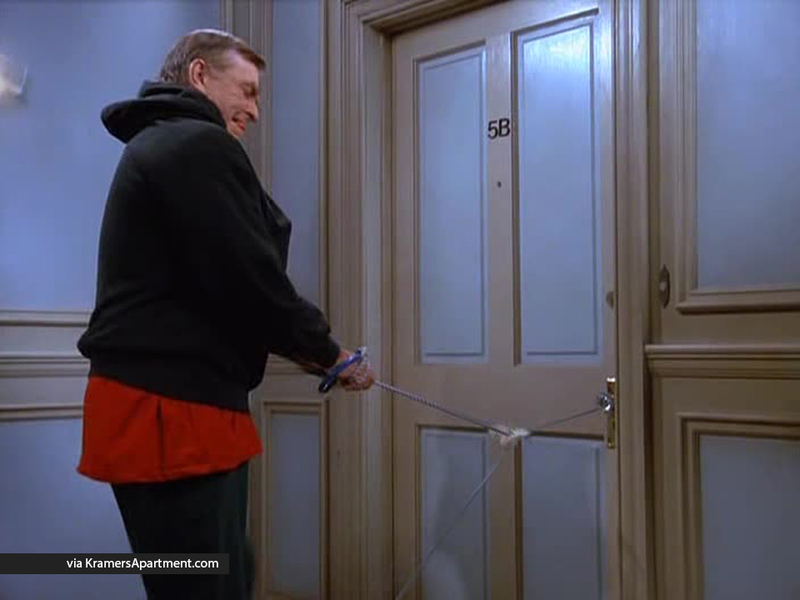 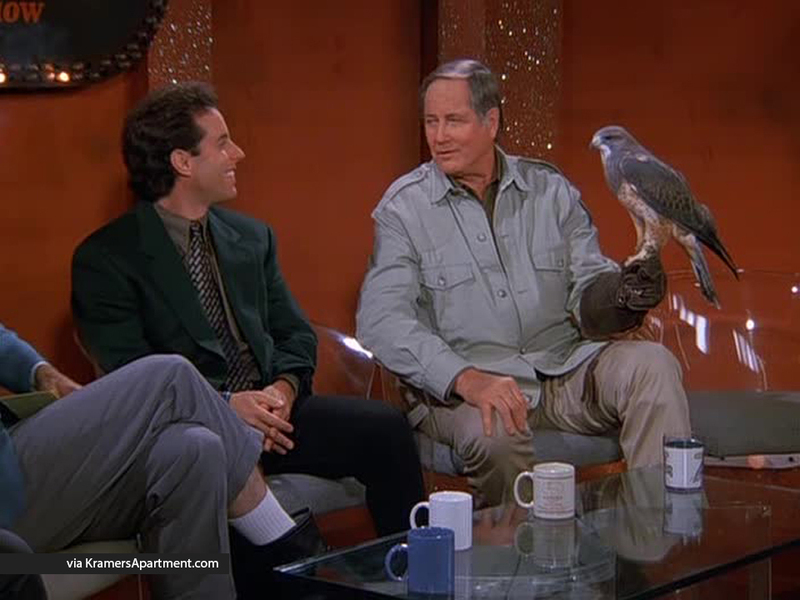 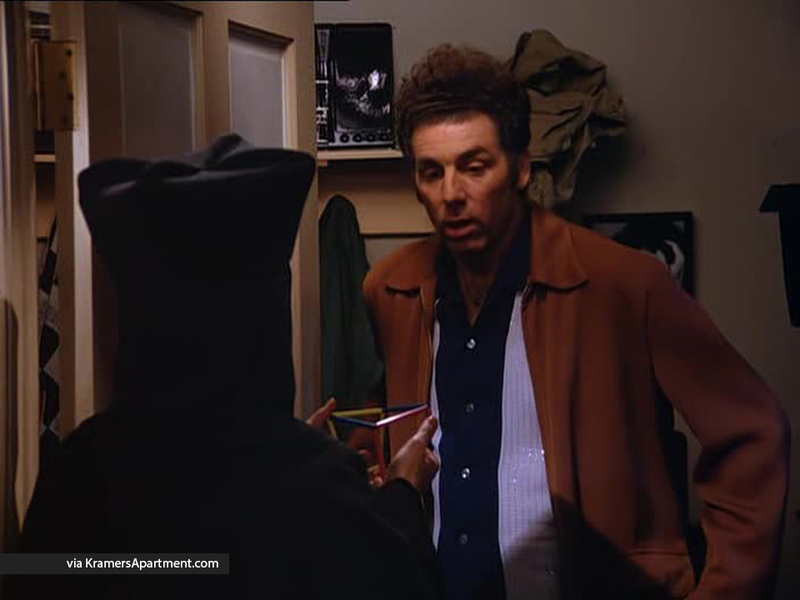 Often a key player in Kramer’s latest scheme, Newman appears in Kramer’s apartment the third most of any character at 8 episodes. 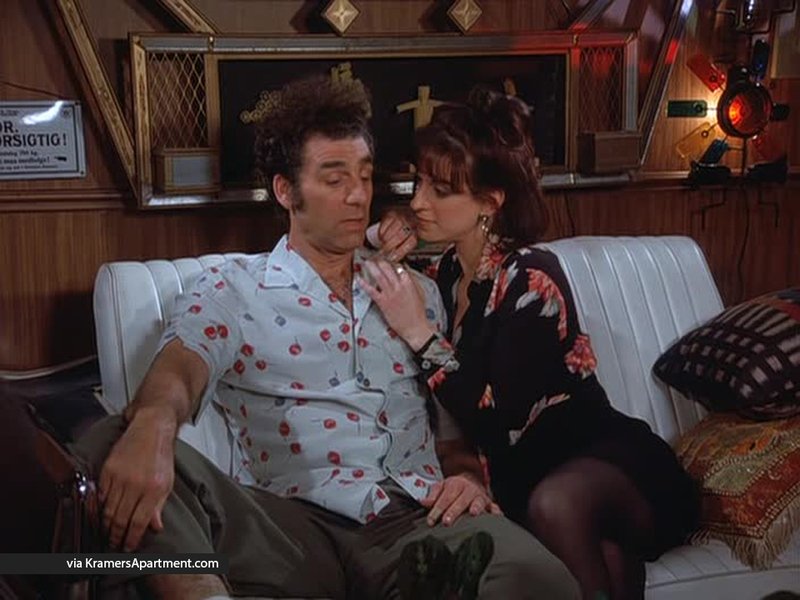 Elaine Benes – Elaine and Jerry used to date, but that’s all in the past. 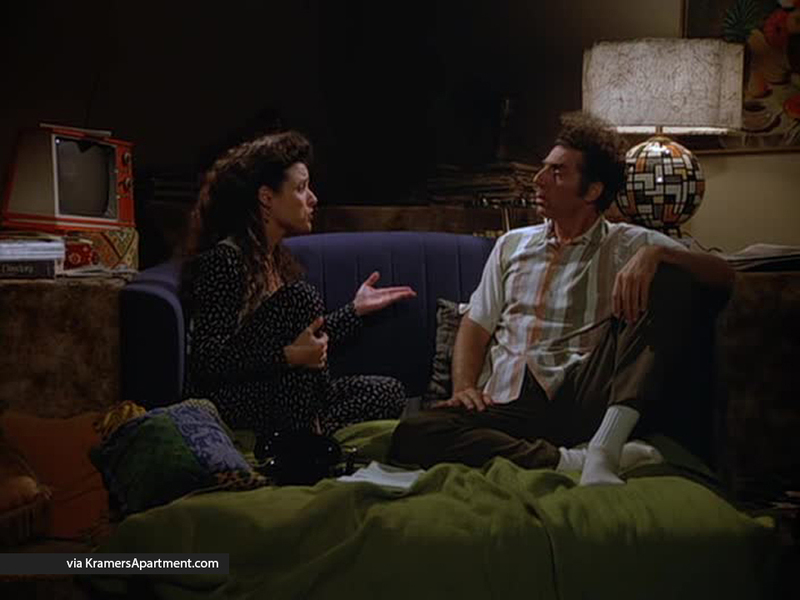 While she only knows Kramer through Jerry, Elaine appears in Kramer’s apartment the fourth most of any character at 5 episodes. 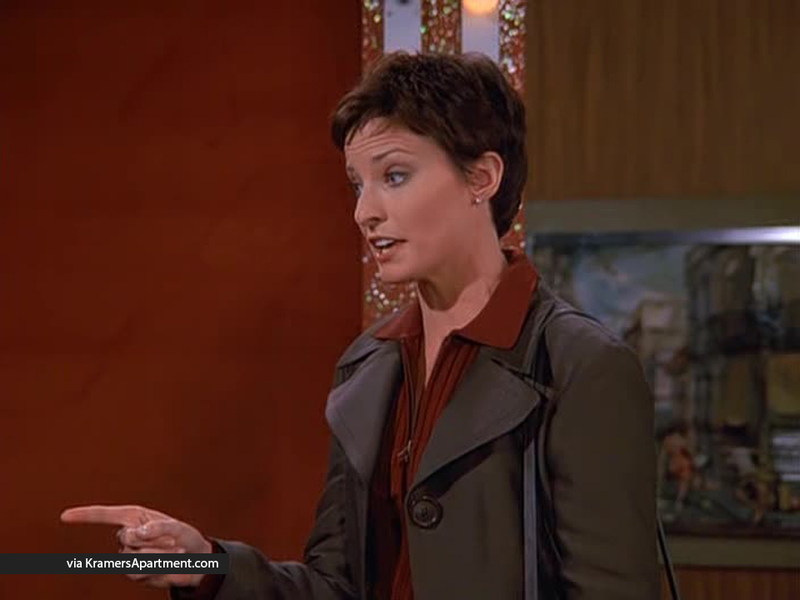 Naked woman from across the street – The reason that Kramer dropped out of the contest, the naked woman from across the street appears in Kramer’s apartment in 1 episode: The Contest.